Mark Healey and Alex Evans, co-founders of Media Molecule, will deliver a keynote speech titled, â€œMedia Molecule, Little Team, Big Ideas,â€ at this yearâ€™s Paris Game Developers Conference (Paris GDC). Healey and Evans will address the breadth of ways in which game developers can incorporate creativity into their designs. From god-games and sim-games to full-on modding, they will discuss the past, present, and future of user-generated content as illustrated through the story of Media Moleculeâ€™s conception and its first title, LittleBigPlanet for the PlayStation 3. Ben Cousins, Executive Producer of EA DICEâ€™s Battlefield franchise, will deliver a keynote titled, â€œScenes from the Battlefield: The Present and Future of Core and Casual,â€ at this yearâ€™s Paris Game Developers Conference (Paris GDC). Cousins will address the business and consumer trends that have led to the creation of the new Battlefield Heroes service and will share his thoughts on the future crossover of core and casual gamers and the supposed death of the PC as a gaming platform. Paris GDC, the second French edition of the Game Developers Conference, the premier event for developers and publishers in the videogame industry, is scheduled for June 23-24 at the Coeur DÃ©fense Convention Centre in Paris. As Executive Producer for Battlefield titles at DICE in Stockholm, Sweden, Cousins most recently led the development of Battlefield Heroes, EAâ€™s first â€œPlay 4 Freeâ€ game. Cousins recent history involves work exclusively on digitally delivered entertainment â€“ serving as Creative Director on PlayStation Home, Design Manager for the EyeToy group and Lead Designer for Beats at Sony Computer Entertainment Europe. Paris Game Developers Conference 08 (Paris GDC) has published its roster of featured speakers and sessions. The second French edition of the Game Developers Conference, the premier event for developers and publishers in the videogame industry, is scheduled for June 23-24 at the Coeur DÃ©fense Convention Centre in Paris. More than 50 sessions designed for developers looking to expand their expertise, network, and learn from their peers will be presented by industry experts and thought leaders at Paris GDC 08. Sessions were selected by the Paris GDC advisory board, composed of international experts of the game industry, as well as the event organizers Think Services and Connection Events. This year the GDC is setting up ALL the tutorial, lecture, and panel classrooms with super fancy HD projectors. These projectors will provide more detailed and brighter images. We want the visual presentations that speakers deliver at the GDC to be as good as the verbal content they provide. And, as usual, the classrooms in the Audio Track with have Dolby 5.1 surround sound. Good morning everyone! One of the traditions we work hard to present at GDC is the tremendous wealth of Japanese developers on site. We've already talked about developers from Nintendo and Square Enix, but we've got a few more luminary folks to share with you. I'll go through them quickly, as there's a lot to cover. Hello everyone! A rare Thursday update from me, largely because we're going to push the schedule live early next week (yes, it's true), and we have a handful of interesting talks that need to go live beforehand. I know a lot of folks out there like these updates to have a theme, and so it strikes me that the common theme on these late arrivals is, well, brains. Hello everyone! So two very important bits of information are going out today. One is the Wednesday keynote announcement, which I'm not going to talk about here because that actually goes live later this morning. The other is a trio of Nintendo talks going live today, which we're very excited to host at GDC. Hello everyone, welcome back from the break! I had hoped to get an update out to you last week, but I had to focus on actually developing GDC. In the meantime, I hope you had a chance to check out our Thursday keynote announcement of luminary futurist Ray Kurzweil, who we've challenged to propose the next 20 years of games. 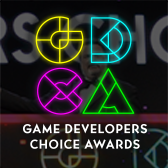 The Game Developers Choice Awards have named the recipients of two of the special awards. Hello! While I had been saving this particular announcement for Christmas Day, the team convinced me to open this package a few days early. Good morning! In the spirit of the holidays, we're debuting a handful of sessions today focused on some of our favorite games. Ken Rolston and Mark Nelson worked on ELDER SCROLLS IV: OBLIVION together, and are giving a talk on Collaborative Writing and Vast Narratives: Principles, Processes, and Genteel Truculence. Writing frequently has a black box aura to it, and being able to apply a reliable process to something as purely creative as writing is a model that should be relevant to any discipline in game development. Plus, if you've ever met Ken and Mark, you know you're in for an incredibly mind-altering time! 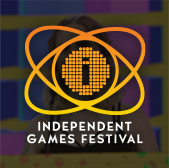 Join us as we celebrate innovation in mobile games during the IGF mobile competition. 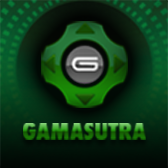 This event will take place during the GDC Mobile 2008 conference and will be highlighted at the main IGF 2008 awards.